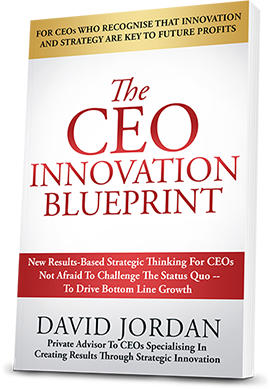 This revolutionary book steps beyond the theory of innovation and focuses on the role of the CEO to be an innovation leader. Every successful innovation company is driven by an innovation leader. What makes an innovation leader, how do they lead innovative change and how do they succeed in growing the business and profits through strategic innovation. We explore the role of the innovation leader. We explore how CEOs drive a shift in mindsets to successful innovation. We explore how to challenge the executive team. We explore the mistakes that cause innovation to fail to be profitable. We explore how CEOs can defend against digital disruptors. This is a practical book looking at real world issues faced CEOs with case studies and thought provokers to help you shift the way you think about innovation and how you apply it to drive success. It takes one standing in the shoes of a CEO to understand the real world of a CEO. The majority of my career had been involved in innovation, driving change, advising boards and management. However the day I became a CEO was the day I realised how little support there was to develop CEOs into innovation leaders. We have all read the books and we all understand the science of innovation, but applying it in the real world has rarely delivered the results we have been looking for. I honestly believed I was a CEO who was an innovation leader, hence it was a shock to realise that in managing all the aspects of the business, responding to directors and managing investors, I was actually managing, not leading. It is all very well for theorists to say that an innovation leader doesn’t set policies, they set principles but as a CEO policies are a necessity expected by boards, regulators and auditors. Theory did not hold up when it hit the world of reality. I had to rethink how to be an innovation leader and manage a business. I developed the innovation blueprint to pass on my learning on how to grow as an innovation leader and how to deliver on the expectations of profit and growth that we are expected to deliver on. 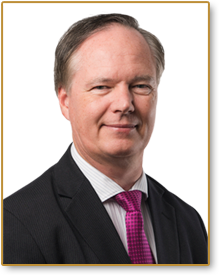 David Jordan, CEO and founder of Solutions4Strategy is an award winning innovation thought leader who is highly regarded for his strategic innovation input to companies across the world. David is changing the mindsets of business leaders with his unique insight in how to drive profits and growth through innovation strategy. For over 25 years, David has been at the fore front of corporate change through innovation and business development. David spent an exciting and challenging number of years within the second largest transport company in the world in his early IT career. This involved David working in a team at a strategic level in driving growth and profit improvements in a range of business units from mining through to shipping. David was further involved in evaluating international acquisitions and identifying how they could be transformed through innovative change. This invaluable broad experience drove his passion in strategic innovation development. David then went on to form an innovation consulting company with a fellow innovation expert that supported business leaders in transforming businesses and turning around poor performing business units. In this role David and his team drove dramatic turnarounds within a range of multinationals, Government departments and small businesses through applying critical analysis and creative thinking to solve strategic challenges. The projects ranged from defence projects through to Geographical information systems for integrated land title management through to turning around a poor performing business unit for an international retailer with global annual revenues of €16B. David later formed a software company driving the next generation of strategic planning and corporate reporting for those organisations driving growth in complex and volatile markets. David in his not so spare time also chairs a number of not-for-profits. David’s passion in driving business development, innovation and strategy in the private and public sector was recognised by IBM with an award for innovation thought leadership in 2009. 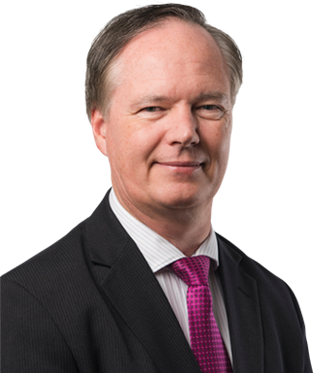 David is now a sought after speaker and adviser in rethinking innovation strategy and delivering profit and growth in a challenging economy.